Passengers across the UK will benefit from a multi-million pound government investment designed to help councils and bus companies put more environmentally-friendly buses on UK's roads. 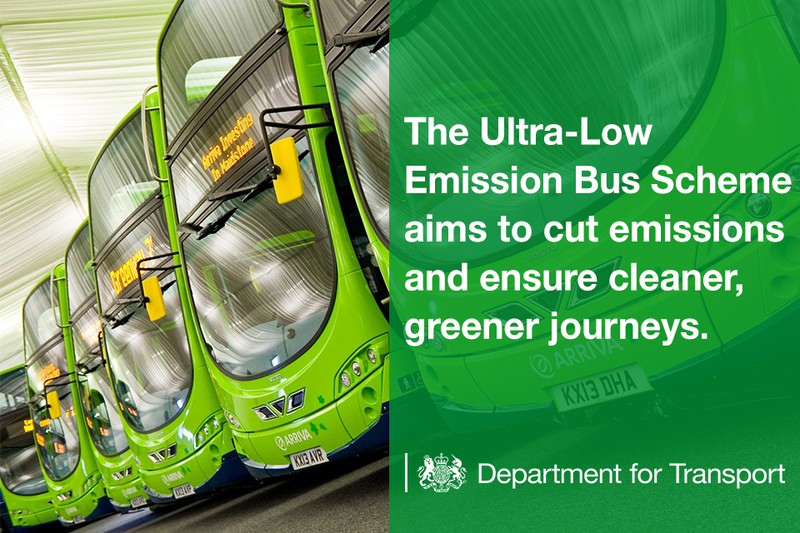 Transport Minister Nusrat Ghani announced a £48 million fund for the new Ultra-Low Emission Bus Scheme aimed at cutting emissions and ensuring cleaner and greener journeys. The new scheme follows the success of the previous Low Emission Bus Scheme. This led to 13 organisations receiving more than £30 million between them – enough to put more than 300 new low-emission buses on the road by 2019. The programme will see local authorities and operators in England and Wales bid for a share of funds, which they can use to buy hundreds of new ultra-low emission buses as well as the infrastructure to support them. This is part of the UK government’s commitment through its Industrial Strategy to reducing greenhouse gas emissions across the transport sector.